Biomimicry is a framework and a practice for emulating nature’s genius, developed by Biomimicry 3.8. Underpinning the work is the assumption that life always creates conditions conducive to life (Benyus) and that human systems should be designed to mimic nature. As Biomimics we look to nature as a model, mentor, and measure. We observe and study the patterns embedded in nature and the strategies organisms use to survive and thrive on planet earth. I have worked in sustainability for many years and learned and applied several sustainability frames, and the Biomimicry Thinking approach to innovation and designing our socially constructed world makes most sense. Beyond applying Biomimicry to innovation, I try to live by nature’s life principles. I am still learning what it takes to do so and how to create life-giving conditions for myself and others in my world, so that we may live in harmony with our dynamic context. 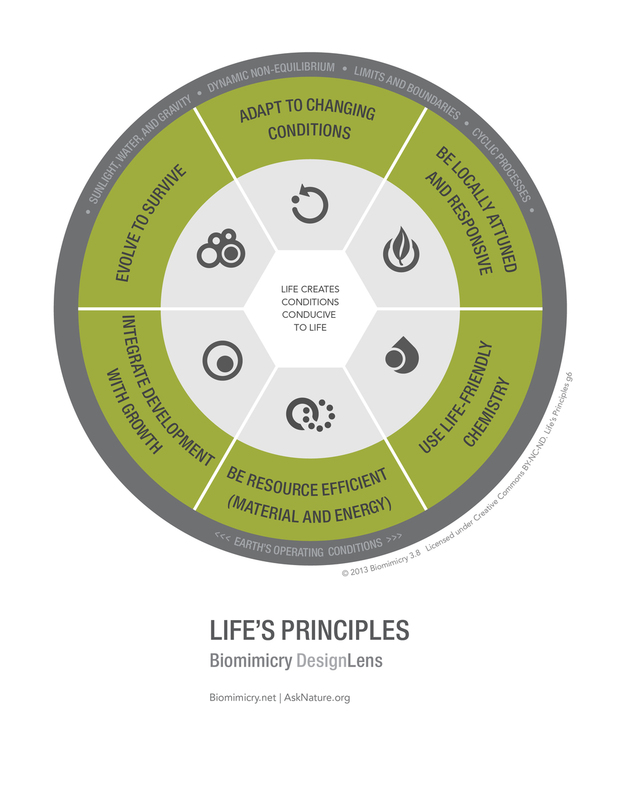 Below presented is a window into the world of Biomimicry. 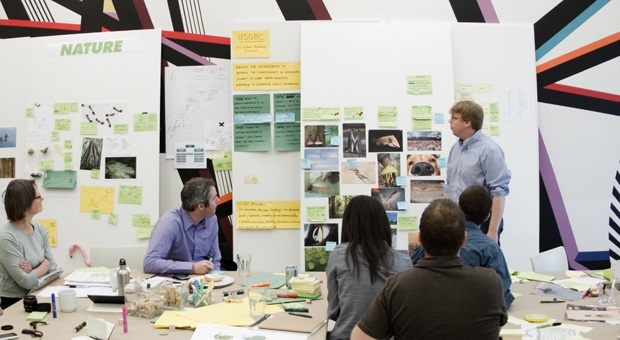 A workshop in Biomimicry may last anywhere from a half-day introduction to five days of collaborative design. Groups may work on the innovation of products, services, and experiences, or business processes and strategies, or whole organizational systems. The method can also be applied to personal leadership development. Although the emulation from nature to human psychology and/or behavior is a bit more challenging than mimicking forms and processes, the opportunities for application are limitless, and the models available in nature are literally boundless. The practice is a transdisciplinary approach to innovation so that diverse perspectives can inform the work, and is best supported by a scientist at the design table, a general biologist or ecologist, so that the work is based upon accurate scientific information. (re-)connect refers to spending time in nature, observing its patterns and processes and learning from this observation. Ethos concerns the mandate of working toward systemic sustainability and adhering to 26 life principles, patterns found in nature. Emulate involves the Biomimicry Thinking Design Process that evolves in four phases: scoping, discovering, creating, and evaluating. Work units from all four phases are showcased on the following pages, including some outcomes. A lecture on Biomimicry is available in my teaching demonstrations. In September of 2013, some colleagues and I from the University of Applied Sciences in Burgenland, Austria, traveled to Nairobi, Kenya, to teach Biomimicry at Strathmore University. We had a blast with the wonderful students and the beautiful Kenyan environment. This video was created by the African students as a gift to us upon departure. Thereafter, the African students began an online project with our Austrian students, generating biomimetic innovations through virtual collaboration. Six months later, the same African students were sponsored to work with the Austrian students for 10 days in Austria, and nobody has ever been the same thereafter. Thank you, students, for this wonderful memory! Below are two examples of the biomimetic innovation process as explored and applied by SCAD design students. More student work can be seen on the Design Challenges page. 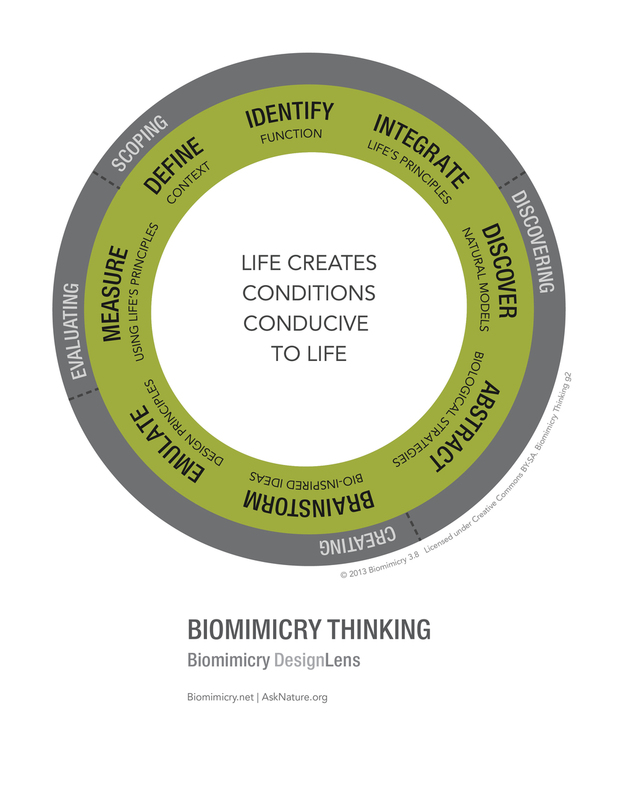 This process book takes the reader from contextualizing a design challenge through the four stages of the Biomimicry Thinking Design Process. Design managers trained in Biomimicry can use this process for innovation of products, services, and organizational processes and systems. The students in this class were certified in Biomimicry Basics for Designers, a certification I co-designed for SCAD students with Biomimicry 3.8. 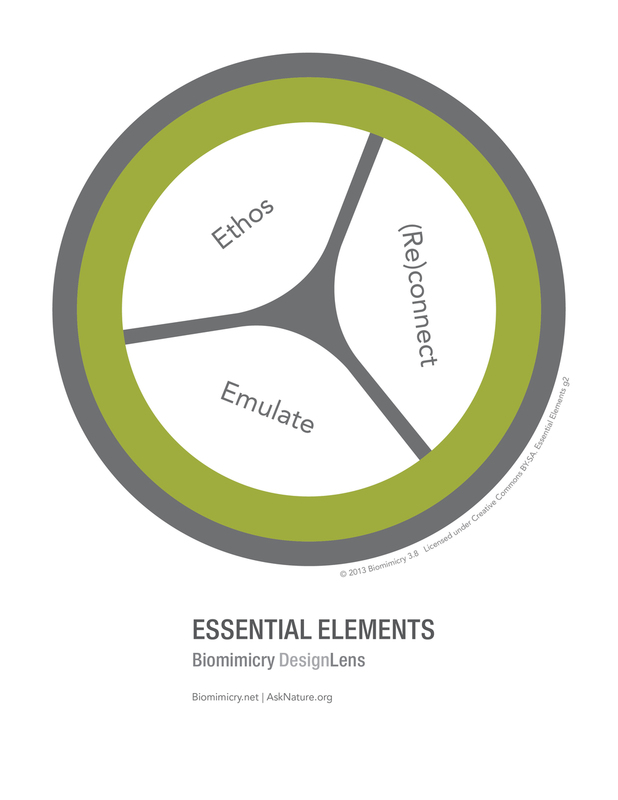 These posters showcase the Biomimicry Framework and the four stages of the Biomimicry Thinking Design Process in a consolidated way. This process book was created by SCAD students during Fall 2015, students in this class were certified in Biomimicry Basics for Designers, a certification I co-designed for SCAD students with Biomimicry 3.8. Go to the Design Challenges page to see more student work.